According to reuseit.com, about 1 million plastic bags are used every minute worldwide... a staggering figure. What is then the best way to fight this ecological disaster and at the same time acknowledge the futility of the task? 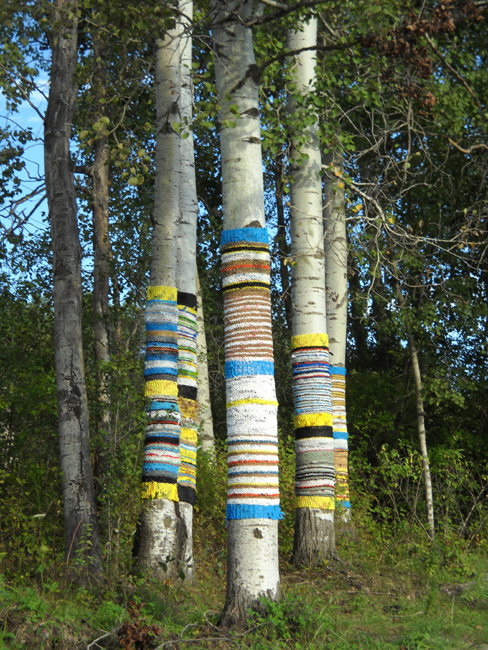 Use plastic bags as yarn to knit sweaters, scarves and mittens for trees. 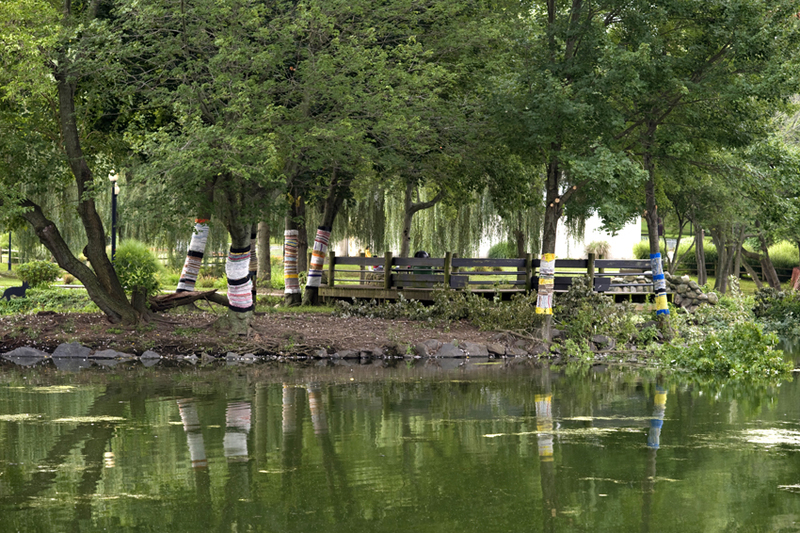 Knit for Trees is a metaphor for the way we treat our environment: our efforts to clean up are superficial and ineffective, because we are unwilling or unable to make the necessary, fundamental changes. 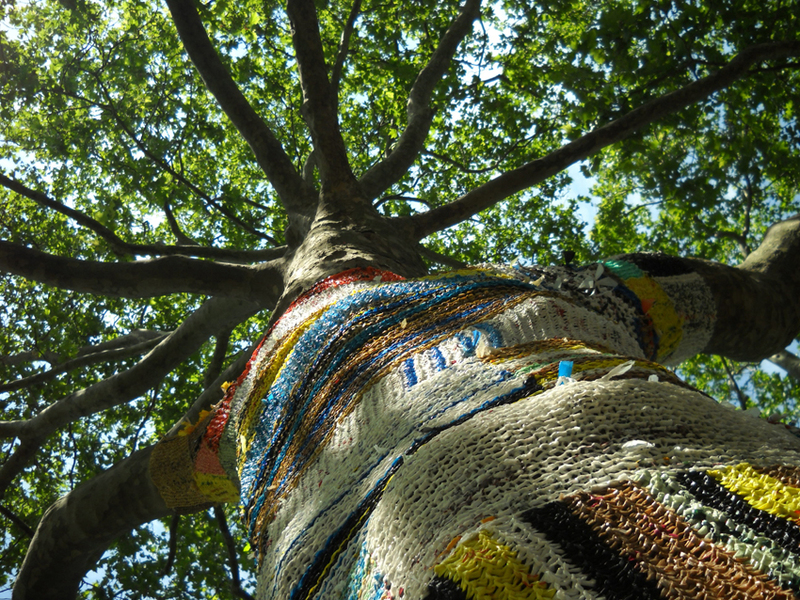 Our energy is essentially misspent: we might as well be knitting sweaters for trees. Governors Island, New York, NY, 2011. 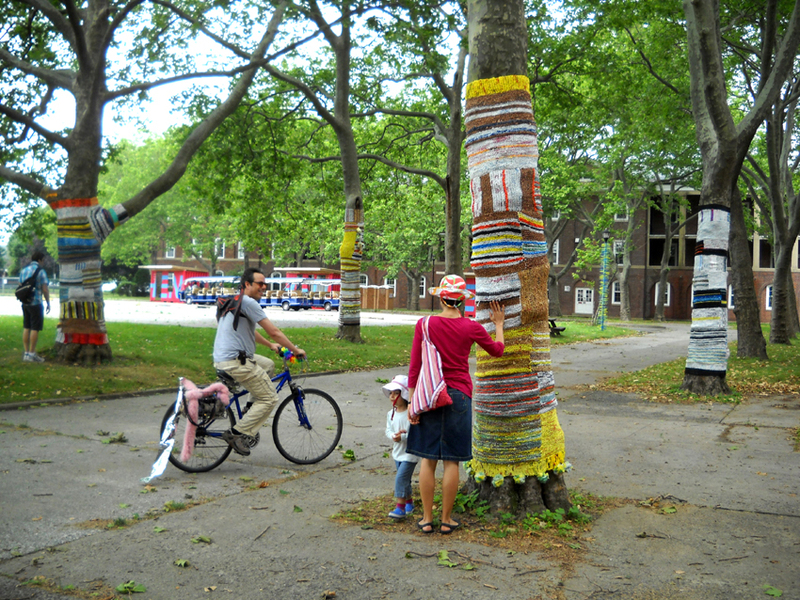 Tree wraps knitted with recycled plastic shopping bags. 5 trees with an average of 75 circumference, up 10 to 12 feet. 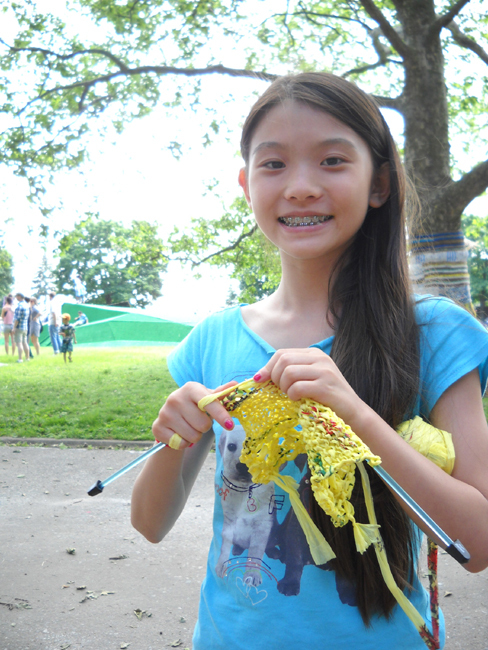 I gave free knitting lessons on Governors Island every weekend that summer. Carving Studio and Sculpture Center, West Rutland, VT, 2011.